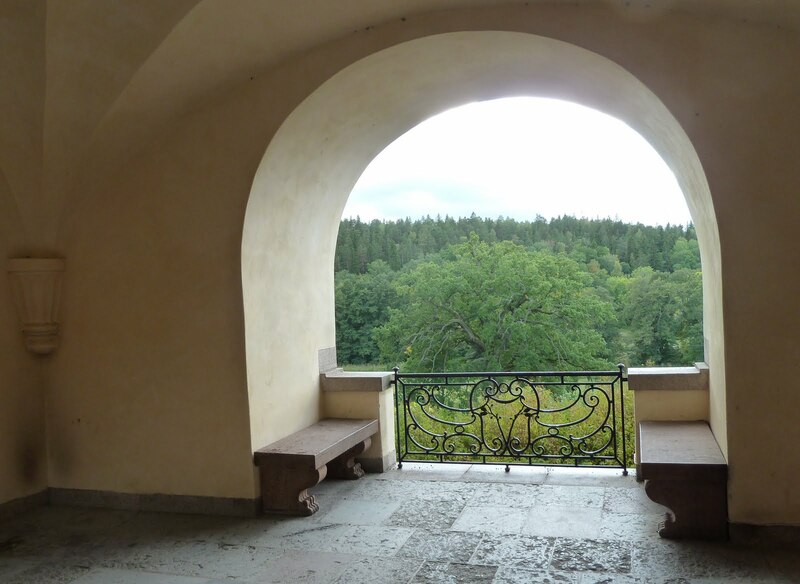 Walkway through the side of Tyresö Castle and an open spot against the park, serenity for everybody. Enlarge for details. Love the depth in the first image...it makes me want to run to the other side to see the view! How soothing to look out on all that green in such a calm place. That is such a good picture. 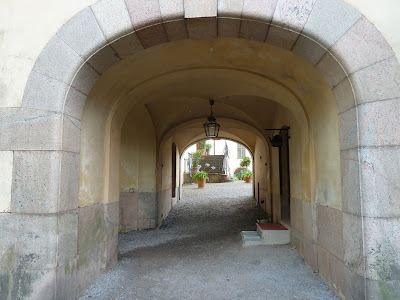 the trees are sharp, the gate is just in the right spot and the stonework is perfect. What wonderful views from each archway. Love the balcony one. It does look like some place you would go for peace and reflection. In both images you have a good job framing both views. The second is very inviting for a relaxing afternoon. Reminds me of some of the shots I took at Princeton University, Nice!